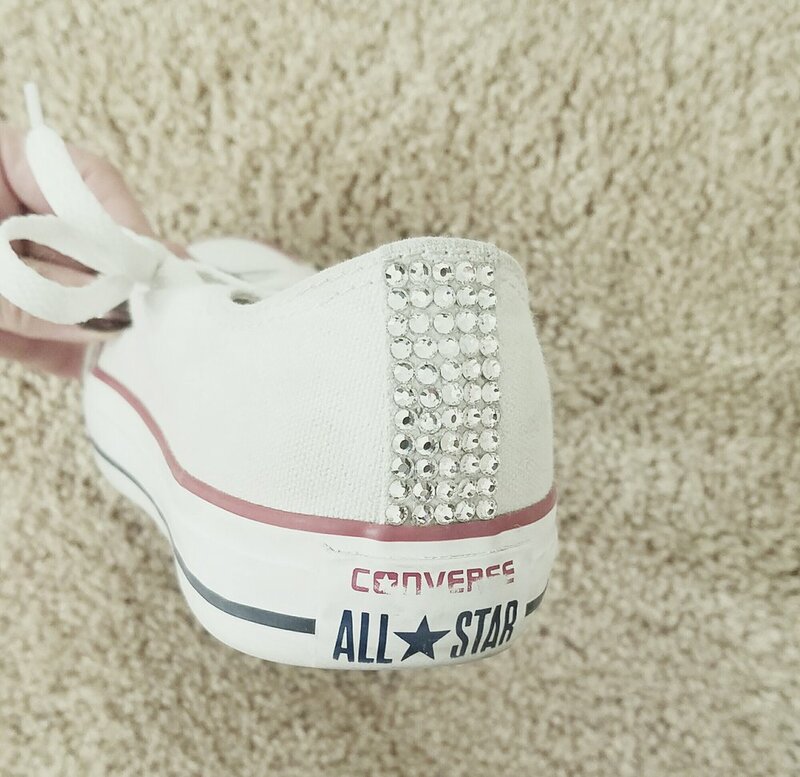 Basic White Converse with the DIY bling. White Converse are so hard to keep clean. Over several uses, the heel of the shoe had black stains and I found it was due to the oils from resting my foot on the car mat. I tried scrubbing it clean with a brush and the stain cleaner. The stain would not remove. I decided to bling the section that was stained which happened to be the back strip of the shoe. It was so simple and instead of throwing the shoe away, I was able to save them. I get so many compliments. Here are some basic simple tips on how to do it yourself. I also provided links to purchase online. You will need at least 55 crystals per shoe. You can buy the Swarovski Flat Back Crystals and E6000 glue Michaels store online. You will need a pair of tweezers and a toothpick to position the stone in place. E600 glue is the best! Have fun!